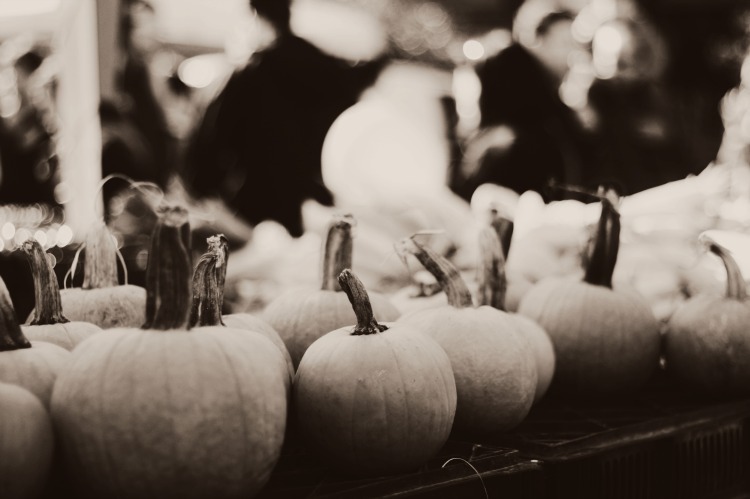 The farmers market at Union Square in New York City in the fall is nothing short of magical. Pumpkins, squash, hand-spun yarn, fresh honey, homemade apple cider, jams of all flavors, and basically everything you could dream of to have in your kitchen during these months. I wandered around with Justin and Christina, basically stopping at every single booth. I could have stayed there for hours. Choosing locally grown produce is something that is quite important to me, so I have been trying to make it a routine to stop by the farmers market every Saturday. No need to eat veggies transported all the way from California when you have fresh goodness grown right in your state. Wherever you live in the country, I totally recommend stopping by your local market, especially in October! The fall goods are just too great to pass up. Love these pictures! So pretty in their washed out way. beautiful, your pictures really inspire me. I love looking at these fall pics! What do you usually pick up at the farmers market and what do you make with the items you pick up? Bonnie what kind of camera do you use? Your pictures are really nice quality! I love the farmers market! Full of fresh surprises! And you captured the magic of it all so well with your photos! And I love how much you've been wearing that awesome flower crown! Everytime, it makes me smile! Thank you for visiting my blog! I love your blog and the magical atmosphere of your photos! It all looks so great! Love the photography, very colourful. Such a great photos, Bonnie. gorgeous pictures! looks like so much fun! Wonderful photos and a great concept to try to eat locally grown foods whenever possible! Looks like you had your choice of some excellent stuff. That looks like the best farmers market! Everything is so beautiful! I love going to markets of any kind! Bonnie you look so much like Juliette Lewis in the very first shot! Total doppleganger.